When my son was young and in school and played sports, there were, of course, times when he got hurt. Hit by a baseball, a too-hard tackle. And then there would be a little trot down the field and back, and it was over. The hurt was gone. Well okay, probably not gone, but we all understood that we should act as if it were. The message behind the phrase was: Get over it. Move on. Stay in the game. 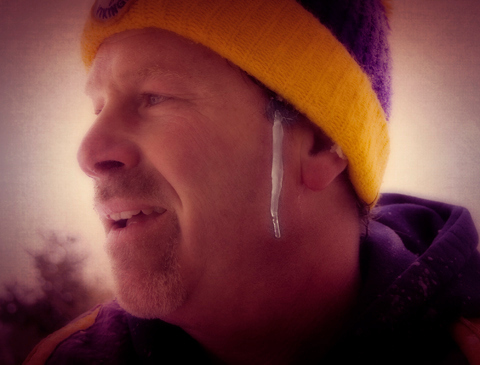 He didn’t feel that icicle while he was running, didn’t realize it had grown down his face. He was focused on one thing: getting there. Because the alternative is staying where you are, standing still and crying, giving up. Or the only thing that would be worse: running in circles. Caught in the same cycle, over and over. Wallowing. I tend to over-think things, especially emotions. When I am hurt, injured, off my game, physically or emotionally, I can get stuck there, circling around inside that negative place for far too long. Trapped. I’m learning though, to run it out myself. Straight past whatever is bothering me. Through it to the other side. A good run, at the very least, helps me shed all my stress. Oh, it will still be there when I am done, waiting at the finish line to grab my hand. But sometimes I walk right past it. Pretend it isn’t there. Sometimes I forget all about it. And that is enough to keep me moving. This entry was posted on Wednesday, March 17th, 2010 at 7:04 am. You can follow any responses to this entry through the RSS 2.0 feed. You can leave a response, or trackback from your own site. Does mr. mediocrity know he’s famous too ? Sometimes it does hurt in the moment, but I think that pain gets multiplied the longer you put off doing whatever it is that hurts. Running is a great example. It might hurt a little bit today, but I hope that in 20 years I will still be out there joining races and running. Giving up every time I had a little pain now would surely derail that plan. First off, I’m still wavering between laughing and ewwwwwing! I echo Deetz: Does Mr. M. know he’s being viewed by people all over the world? 🙂 THAT is funny. But you know what, Mrs. Average Jo – you nailed it. You really did. A person can choose to get stuck in the miserable spin cycle, or they can work to move beyond it. And sometimes that work is quiet, without fireworks, but with silent determination and perseverance. Yes, Mr M. does know. In fact, I think he was pretty excited about it. 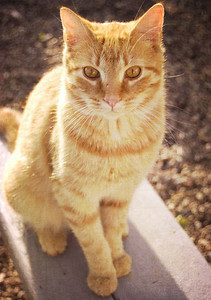 Unlike me, he never shies away from having his picture taken…or, apparently, displayed! interesting, I posted today about my very first day of Couch to 5K, hopped over to another site and she was writing about running and then I come over here and you knit it all together with a beautiful analogy. A large, gorgeous, fast coyote ran in front of my car this morning, it took my breath away. His agility and speed (there was no danger to either of us, I was driving slowly and he was running fast) made me want to watch him all morning but he was soon out of sight. Oh, and Mr. M? Impressive icicle indeed! Thanks for your nice compliment…it seems like running is on a lot of minds these days…must be Spring! We have coyotes around here (Upstate NY) but I rarely see them, just hear them in the deep dark of night when it is really creepy…but yes, perhaps it was a sign…or at least it can be fun, and sometimes helpful, to interpret things that way. okay…first that icicle is hysterical ! and second….this is some brilliant writing today ! it’s honest and pure and pulling out emotions in the rest of us ! I used to coach soccer and often said the same thing…run it out ! !….and stop looking at me like I just told you to jump off the brooklyn bridge. Gosh, thank you so much! And the icicle was hysterical, I think what really got me was the fact that he didn’t realize it was there…I mean, could he not feel it hitting the side of his face? This is wonderful. (And I love that pic of your husband!) You’re so right about running in circles, and the futility of it. Thank you for the reminder. Thanks! I am glad you stopped by, your post resonated with me as well. Keep running it out! 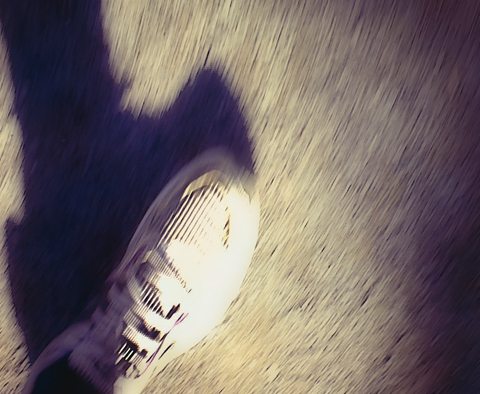 I – too – am a big fan and believer in ‘running-it-out’..or at the very least – getting up and moving. It definitely helps to get beyond where I might be in that moment.